A special thanks to our sponsors for contributing to QUEST San Antonio 2018! www.accenture.com – Accenture is a global management consulting, technology services and outsourcing company, with more than 358,000 people serving clients in more than 120 countries. Accenture offers the entire breadth and depth of testing services across a broad array of applications, digital technologies and industries delivered under flexible business arrangements to help companies shape their digital future and lead their industry while delivering an exceptional customer experience. With more than 31,000 testing professionals across more than 30 delivery centers in 17 countries, Accenture serves over 1,000 testing clients across more than 40 industries. www.applitools.com – Applitools is on a mission to help test automation, DevOps and development teams to release and monitor flawless mobile, web, and native apps in a fully automated way that enables Continuous Integration and Continuous Deployment (CI-CD). Founded in 2013, Applitools uses sophisticated AI-powered image processing technology to ensure that an application appears correctly and functions properly on all mobile devices, browsers, operating systems, and screen sizes. Applitools has more than 300 customers from a range of verticals, including Fortune-100 companies in Software, Banking, Online Retail, Insurance, Pharmaceuticals, and more. Applitools is based in San Mateo, California and Tel-Aviv, Israel. www.checkpointech.com – Checkpoint Technologies, Inc. is a solutions provider that specializes in Business Technology Optimization. We are experts in all areas of quality assurance and software testing – performance, functional, and security. Checkpoint Technologies provides leading-edge software solutions, training, mentoring, senior consulting, and staff augmentation. Our services include both manual and automated testing with automated testing being an area in which we are known for our expertise. Checkpoint Technologies is an HP Business Partner and Certified Training Partner. We have assisted numerous organizations with their implementation of testing solutions with on-site consulting, staff augmentation, and training. www.Delphix.com – Delphix’s mission is to connect people to data and accelerate innovation. The Delphix Dynamic Data Platform securely delivers virtual test data copies from production to end users in a fraction of the time and space of physical test data. Delphix provides testers with data controls—including the ability to refresh, rewind, bookmark, and branch test data as a self-service—to drive massive increases in productivity and application quality. Fortune 100 companies use the Delphix Dynamic Data Platform to connect, virtualize, secure and manage data in the cloud and in on-premise environments. www.mobilelabsinc.com – Mobile Labs provides enterprise-grade, next generation testing tools for mobile app testing, mobile device testing and mobile website testing. With a focus on security, agility and affordability, Mobile Labs delivers solutions to help enterprises deploy quality mobile apps for Android and iOS platforms while also securely managing mobile devices and test device access via private cloud. Mobile Labs helps today’s enterprise IT and QA teams improve mobile application testing management, minimize the number of mobile devices required for test and strengthen mobile device and mobile app security. www.octoperf.com – OctoPerf is a SaaS and On-Premise load testing solution. It aims to improve the quality and performance of intranet, web and mobile applications. OctoPerf lets you create thousands of realistic virtual users in a few clicks. No code to write, it all happens in our intuitive GUI wrapped with enterprise features like result comparison, server monitoring, teamwork, SLAs, correlation frameworks etc. OctoPerf is based on JMeter. Either import your JMeter projects to enjoy our automated test launch and live results display. Or do everything from scratch in the GUI with a user-friendly test experience. 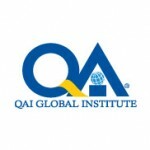 www.qaiusa.com – Founded in 1980 in Orlando Florida, QAI is a global workforce development and consulting organization addressing the education and ‘Operational Excellence’ needs of information technology and knowledge-intensive organizations. QAI Global Institute, the workforce development division of QAI, focuses on creating education and training products and services. The Institute caters to a wide variety of industries and provides access to a wealth of concepts and skill building reinforced through consulting, training, assessments, benchmarking, certification, conferences, and eLearning. QAI has trained over 140,000 individuals and certified over 50,000 professionals. www.saucelabs.com – Sauce Labs provides the world’s largest cloud-based platform for the continuous testing of web and mobile applications. 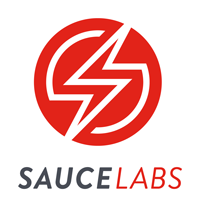 Founded by the original creator of Selenium, Sauce Labs helps companies accelerate software development cycles, improve application quality, and deploy with confidence across hundreds of browser / OS platforms, including Windows, Linux, iOS, Android & Mac OS X. Optimized for Continuous integration (CI), Continuous delivery (CD), and DevOps, the Sauce Labs platform is built to handle the most secure data from its customers, who range from Fortune 500 companies to small businesses worldwide. To date, more than 1.5 billion tests have run on the Sauce Labs cloud. For more info or to sign up for a free trial, visit http://saucelabs.com. www.softwarecertifications.org – The International Software Certifications Board’s (ISCB) origins date back to 1980 when it was founded as part of the Quality Assurance Institute (QAI). QAI was established as a professional association whose charter was to represent the software quality assurance (SQA) professional. The founding directors of the institute recognized the need to insulate the professional certification program from the association and to that end the ISCB was structured as an independent board of overseers to provide guidance and governance of the certification program. The ISCB officially launched the first certification program, the Certified Quality Analyst CQA (later to be renamed the Certified Software Quality Analyst CSQA), in 1985 and the first formal examination based certification was launched in 1990. Today, the ISCB’s professional certification programs cover three domains, Software Quality Assurance, Software Testing, and Software Business Analysis. Approximately 52,000 individuals have been certified on six continents. www.tapqa.com – tap|QA is a consulting services firm 100% focused on quality. Our consultants’ wide range of experience includes Strategic Analysis, Business Analysis, Quality Assurance & Testing within a vast array of industries. We enable organizations to meet the growing demands of their business partners and customers. Our solutions include: tap|Strategy- Strategic Consulting to Optimize IT Capabilities, Technology & Organizational Structure; tap|Technology – Implementing Continuous Integration, Delivery and Deployment through Automation; tap|Lakeshore – Cost-Competitive with Offshore, but embedded Locally with your team, or at our site in Minneapolis; and tap|Consulting – Leveraging our Key Experts and Consultants for your IT & Business needs. www.getzephyr.com – Zephyr provides the world’s most widely used software test management solution, powering more than 17,000 customers and 5 million users across 100 countries. Zephyr is leading a global transformation to DevOps and Continuous Testing Agility through widespread adoption of its advanced quality management, automation and analytics tools. Today, companies across wide-ranging industries, with Product and IT teams of all sizes, rely on the Zephyr family of products for its end-to-end solutions, unmatched scalability and support, to keep pace with the accelerating software delivery lifecycles. Zephyr is headquartered in San Jose, Calif., with regional offices in Philadelphia, Europe and India. www.alamopmi.org – Founded in 1995, the Alamo Project Management Institute (APMI) Chapter is a non-profit, tax exempt 501(c) 6 trade association charted by the globally recognized Project Management Institute. The APMI is a volunteer-led body of fervent project management practitioners and enthusiasts who collectively endeavor to connect, educate and mentor success through leadership and innovation in life and profession. The APMI hosts monthly membership meetings that provide chapter members and the public the opportunity to network with project management professionals, earn invaluable Professional Development Units (PDUs), learn new skills from experienced speakers, find or become a mentor to help expand the field, and acquire cutting-edge techniques. www.aqaa.org – The Atlanta Quality Assurance Association (AQAA) was founded in 1984 with the belief that no one company or individual can learn everything that is needed to assure a Quality Environment. AQAA is a not-for-profit organization which is organized to share state-of-the-art Quality Assurance methods, tools and techniques among its members. Our membership is comprised of professionals working primarily in the information systems industry. The AQAA is a Quality Assurance Institute (QAI) Federation Chapter. http://www.it-cisq.org – The Consortium for IT Software Quality™ (CISQ™) is an IT industry leadership group comprised of IT executives from the Global 2000, system integrators, outsourced service providers, and software technology vendors committed to introducing computable metrics standards for measuring software quality & size. CISQ is a neutral, open forum in which customers and suppliers of IT application software can develop an industry-wide agenda of actions for improving IT application quality to reduce cost and risk. www.cqaa.org – TThe Chicago Quality Assurance Association was established in 1984 and is the second oldest chapter of the QAI Global Institute. CQAA promotes software quality principles and practices within the Chicagoland area by providing a forum for networking and information sharing. CQAA offers monthly speaker programs, lunch & learns, webinars, and training classes a to over 1500 members for continuing education. Professional certification is supported by hosting the CSQA and CSTE certification prep classes in Chicago and facilitating local study groups. Other activities have included one-day vendor showcases and symposiums, special interest groups for information exchange, co-hosting programs with other professional organizations, and job search service. www.dfwqaa.org – The DFWQAA is a non-profit 501(c)(3) education organization and local chapter of QAI. Our members are a group of Dallas/Fort Worth, Texas area Software Quality Assurance professionals and managers that come to meet others in their industry and share information. Our mission is to create an open forum in which to share Software QA/Testing best practices and jointly address issues facing the Software Quality Assurance industry. We are affiliated with QAI Global Institute, a worldwide software quality organization. In addition to providing educational and QAI certification opportunities to our members, we usually hold a meeting on the 3rd Tuesday of each month to discuss relevant topics in QA and testing. www.omg.org – The Object Management Group® (OMG®) is an international, open membership, not-for-profit technology standards consortium. 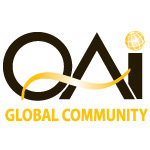 http://www.qaiusa.com/qai-global-community/ – The QAI Global Institute was founded on the premise of having an association of IT professionals who shared knowledge and experiences in order to broaden and strengthen the recognition of the IT practitioner and IT industry. Since then, the Institute has created a worldwide network of IT professionals, developed over the past 25 years, resulting in relationships with world–class industry leaders. The QAI Global Community includes regional Chapters that focus their attention towards providing local professionals with resources to promote their continued pursuit of knowledge and skill building. www.techbeacon.com – Tech Beacon is a digital hub for dev and tech professionals seeking guidance to real business challenges. Focusing on information that really matters for competing effectively in business without compromising on editorial integrity. Our editorial mission is simple: to connect our readers to the leading experts who understand what it takes to succeed. Staying ahead of the trends and navigating emerging technology while maintaining focus on what’s needed to be successful now is not always a straightforward path. TechBeacon shines a light on those who are doing it right and those who are solving today’s most challenging problems to shape the future of IT. The first step to your QUEST Experience is just a click away.